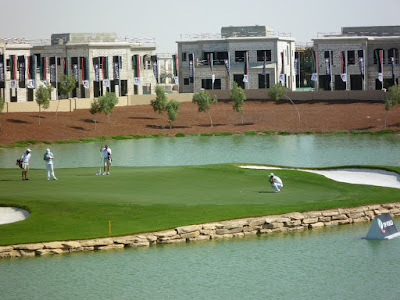 The 2019 Dubai Desert Classic golf tournament on the European Tour is taking place this week from January 24-27, 2019, at the Emirates Golf Club located in Dubai, United Arab Emirates. Here is a list of the prize money up for grabs for the European Tour players this week at the 2019 Dubai Desert Classic. The Dubai Desert Classic dates back to 1989. Ernie Els holds the record for most wins with three. Tiger Woods, Rory McIlroy and Stephen Gallacher are tied for the second most wins with three each. Li Haotong from China is defending champion. American Bryson DeChambeau is making his debut in this event this year no doubt for a very hefty appearance fee. Total prize money up for grabs at the 2019 Dubai Desert Classic is $3.25 million. All prize money listed below is in American dollars converted from Euros. The winner of the 2019 Dubai Desert Classic will earn $541,775. The winner of this European Tour event last year was Li Haotong from China.